Gorgeous home with main level living & all the upgrades you expect! Open floor plan features entry foyer, den/home office, wet bar & beautiful formal dining room. The spacious great room has fireplace & built ins. Gourmet kitchen w/granite, SS appliances, gas cook top & eat at/serving bar. The private master offers trey ceiling, his/her closets and wonderful en suite bath with his/her vanities, soaking tub & shower with dual shower heads. Two addt bedrooms with jack & jill bath offer space for family or guest. Arched doorways, heavy crown moldings, 9'-14' ceilings throughout & lovely hardwood floorings make this a stunning home! Upper level offers a private bedroom or bonus with large closet & en suite full bath - could be used for 2nd master or home office and there is a huge walk in attic for storage. Wonderful deck overlooking private wooded yard. Walk in crawl space wired for workshop. 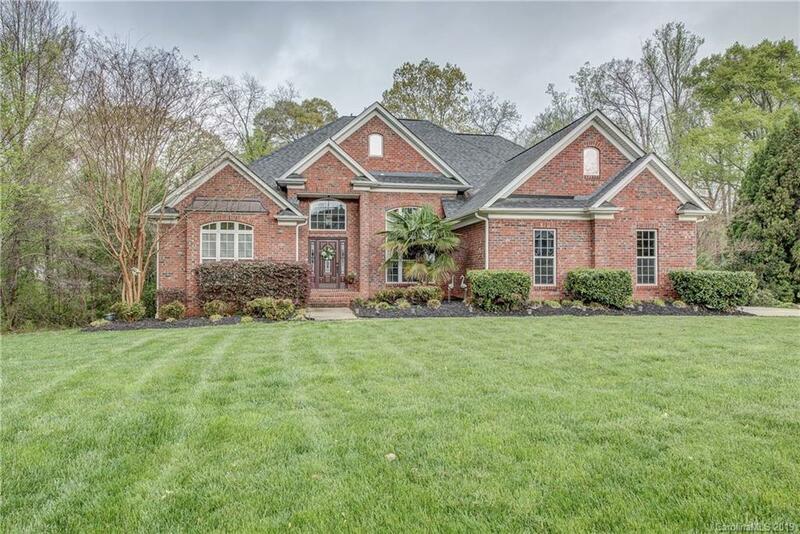 All this in a gated, golf course community just minutes to Uptown Charlotte & the airport.